Volunteers discuss ideas for the 2014 growing season at our first ever Volunteer Orientation last April. Volunteers have seeded over 1600 tomatoes, peppers, eggplant, cucumber, herbs, and flowers in anticipation for this May when we will transplant the seedlings into the ground. 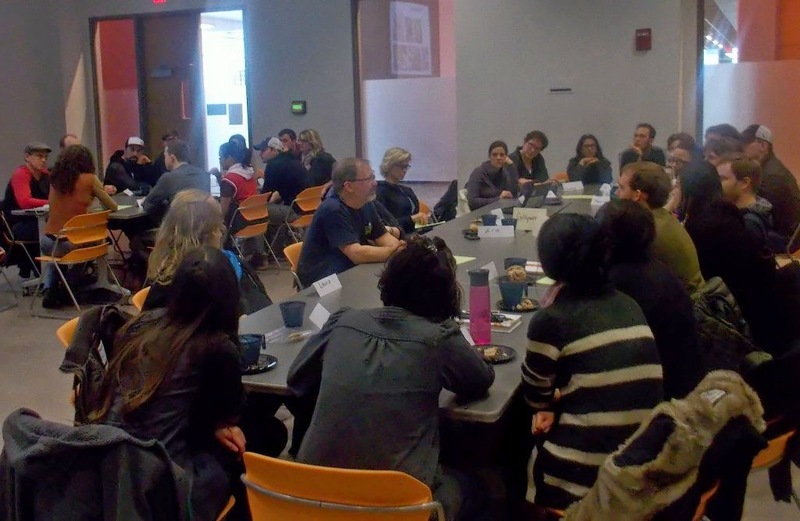 But before we do that, we need to come together and get to know one another! Volunteers seeding at the Devonian Botanical Garden greenhouse on March 28, 2015. On Saturday May 2nd join us at the University of Alberta's Edmonton Clinic Health Academy (ECHA) for our 2nd Annual Volunteer Orientation. We're going to tell you what Prairie Urban Farm is all about, discuss some ideas we have for this season, and then break up into groups so that you can get to know other volunteers. In these smaller groups you'll have a chance to discuss what exactly you would like to get out of your farm experience and what sorts of projects you would like to be involved with. As a volunteer there are a lot of opportunities to be involved in anything from community building and education, art and building projects, and sustainable agriculture. 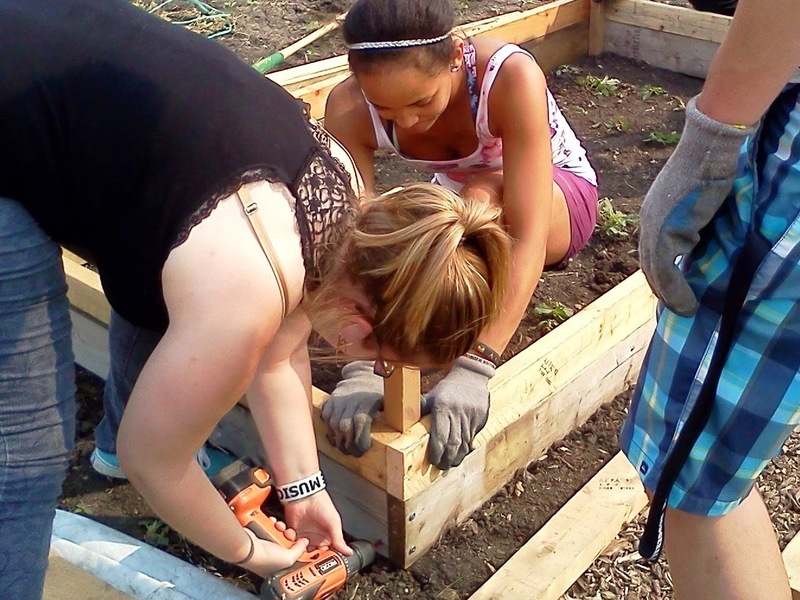 Student volunteers building a raised garden bed in August, 2014. Prairie Urban Farm is built on the ideas and momentum of our members so please come join the discussion and get ready to get your hands dirty! The orientation is open to everyone and it is free of charge. The classroom is wheelchair accessible. There will be snacks and refreshments provided. Please note that you don't need to RSVP in order to attend and if you do RSVP you don't need to bring a ticket. It is simply a way for us to estimate numbers. A volunteers dog came to join us in September 2014 for our hugelkultur workshop.